The Oakland Athletics are cautious with money in every aspect of the game of baseball, right down to their draft picks. The A’s usually draft players out of high school who aren’t necessarily projected to be future 5-tool players or superstars. 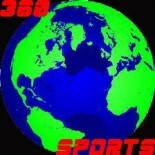 That means it will take less money to sign those players and bring them up to the big leagues. That’s why it was shocking when the A’s drafted Sonny Gray in the 2011 draft. The kid has stuff for days. Even ask the Detroit Tigers. Except, the 2011 draft was considered to be one of the best draft classes in years with perennial all-stars left and right. So essentially, the A’s had no choice but to draft him. The 2012 draft was a different story. Or was it? With the 11th overall pick in the 2012 draft, the A’s selected shortstop Addison Russell. The A’s knew he had potential to be a superstar infielder and, better yet, he fit their mold for drafting. They drafted him out of high school and gave Russell an opportunity he could not give up. Russell is a rare kind of prospect. He is one of the best hitting prospects in all of baseball and instantly became the top A’s prospect in their farm system. Oh yeah, Addison Russell is also a 5-tool player. With all of this he has gone on to prove many wrong about his abilities. Although he has always been highly touted, many scouts have wondered if his talents were over hyped and if he could sustain his numbers playing in a professional environment with professional pitching. He has exceeded his expectations. Take a look at his numbers. He started the 2012 season with the Arizona League Athletics where he hit .415/488/.717 with six homeruns and 29 RBI in 26 games. He was then promoted to the Vermont Lake monsters where he hit .340/.386/.509 with one home run in 13 games. He was quickly promoted once again and finished the season with the Class-A Burlington Bees hitting .310/.369/.448 in 16 games. That’s impressive. He was named to the futures game for team World and was one of the youngest players there. He finished the season with double digit totals in doubles, triples, homeruns, and stolen bases. Did I mention there were only 8 total players in all the minor league who were able to achieve that. Now he’s 19 years old and just finished playing for the Mesa Solar Sox of the Arizona Fall League with some of the league’s best prospects. He hit .307/.369/.467 in 18 games for the Sox helping them get to first place in the East Division and taking them to the Championship game. On Wednesday November 20. 2013, MLBPipeline.com released their list of the Top 20 AFL prospects that included only four teenagers. Russell was the top shortstop prospect and the third prospect overall. I expect Addison Russell to start next season on the Midland Rockhounds where he spent a large part of his 2013 season. He will probably be bumped up to the Sacramento River Cats (he played with the River Cats for their playoff push) fairly early on in the season. I wouldn’t be surprised if he was given a September call-up and become the starting shortstop by 2015. Addison Russell is a can’t miss prospect! 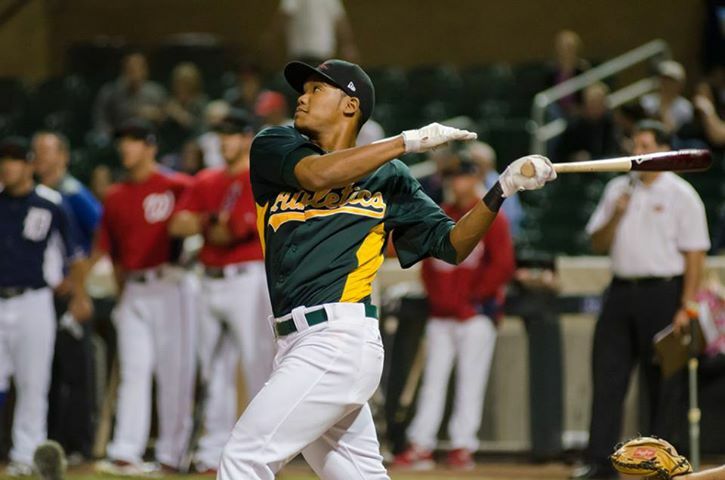 This entry was posted on November 21, 2013 by Idalia Topete in Analysis, MLB and tagged Addison Russell, Arizona Fall League, Arizona League Athletics, Baseball, Burlington Bees, Mesa Solar Sox, Midland Rockhounds, Oakland Athletics.